The automotive field includes a lot of different industrial processes where the HITEMA chillers, specially the unit with integrated freecooling, are the best solution for high performances of machine tools, painting baths, mechanical and hydraulic components, molding machines. The HITEMA chillers are designed to freezing and cooling foods and beverage to avoid bacterial load issues and to maintain the correct temperature during the processing and the storage to avoid risks for human health. Beer breweries, pasteurization plants, bottling lines, distilleries and others, for hygienic needs, we are able to supply our units with covering and hydraulic circuits in stainless steel. HITEMA can offer a wide range of cooling solutions to the agriculture and farming industry taking care of specific needs and requirements considering that agricultural producers use a variety of refrigeration systems to extend the shelf life of perishable materials. Cooling not only reduces the potential for spoiling due to bacterial growth but also reduces humidity levels for some products. Our products may also be used during sorting, processing, packaging, and storage. HITEMA with its range of product solutions is able to grant an energy and water saving maintaining a precise an stable temperature control for the operations of welding machines, for precision machine tools, metal cleaning processes where the precise cutting oil and hydraulic fluid temperature permit high speed operations and low maintenance costs, it permits also to increase the productivity and the lifetime of the machining center. 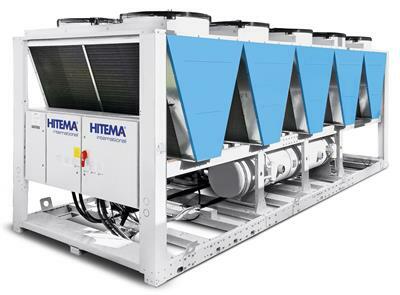 No reviews were found for Hitema - Model AHF Series - Free-Cooling Liquid Chillers with EC Axial Fans. Be the first to review!